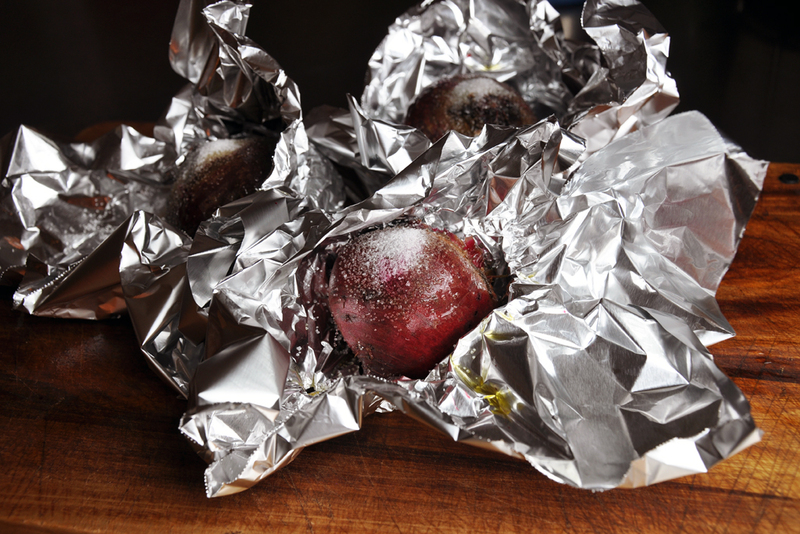 Individually wrap each beet in foil. Drizzle each beet with 1 tsp EVOO and 1/4 tsp salt. Close tightly and roast on a sheet pan for 45 minutes. Remove from the oven and let cool in the foil. Meanwhile, add egg to a small pot and fill with water at least 2-3" over the egg. Bring to a boil over medium-high heat, and then immediately turn off the heat, cover and let sit 15 minutes. Drain the egg, and rinse under cold water. Crack the bottom of the egg where the air pocket is, peel, and then chop coarsely. Set aside. When the beets are cooled, remove from the foil. 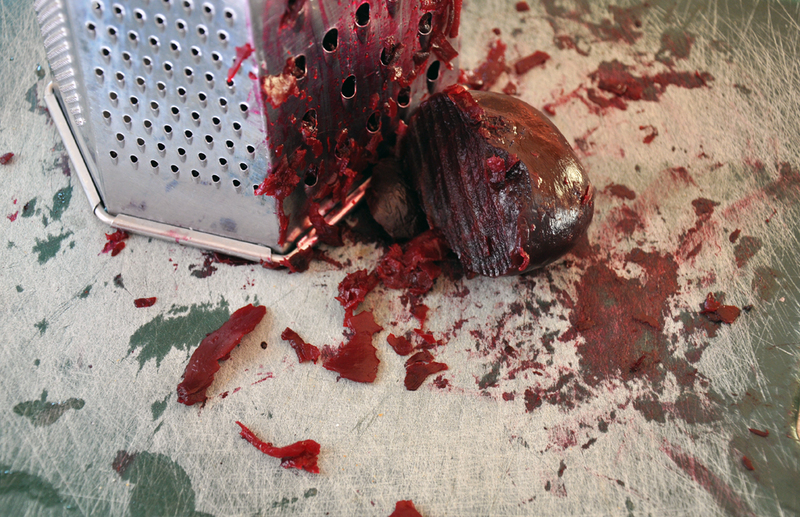 Peel off the skin and grate on a box grater. (P.S. this is a very messy job so I used a crappy, plastic cutting board). 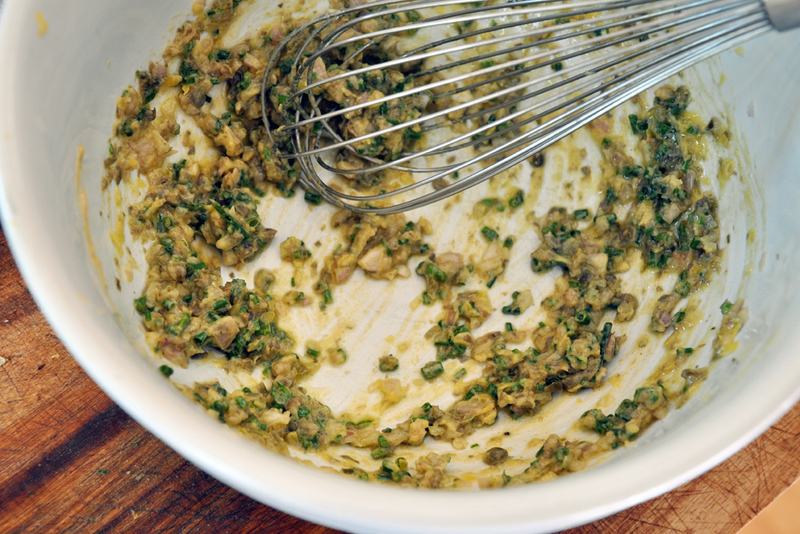 Combine 2 Tbsp EVOO, chives, shallot, mustard, capers and lemon zest. 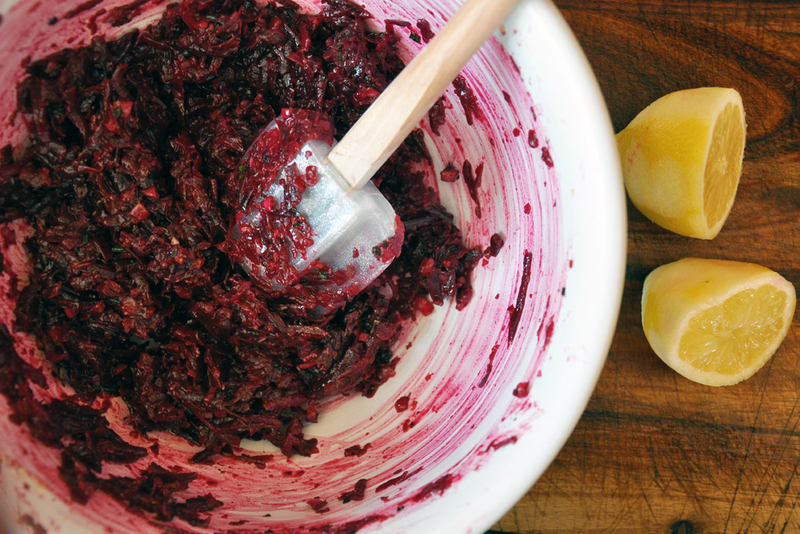 Add grated beets and mix thoroughly. 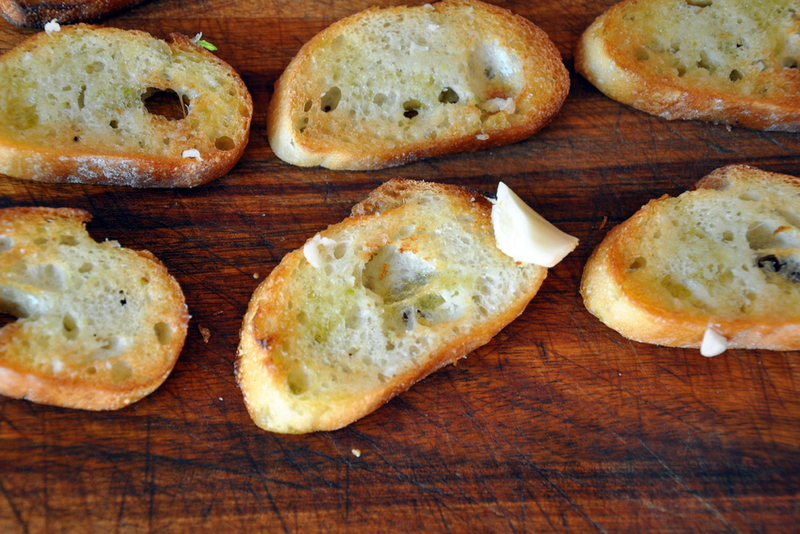 While the flavors are marrying, drizzle remaining 1 Tbsp of EVOO over baguette slices. Toast, remove and while still warm, rub garlic over the top. The crusty edges will grate the garlic and impart a wonderful garlic flavor. For presentation, if you so desire, using a circle cookie cutter (or cut a plastic cup to a similar size!) 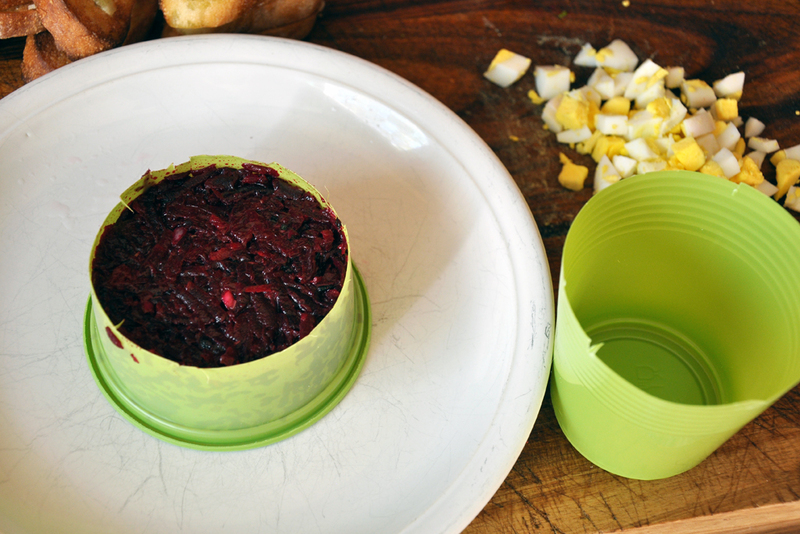 carefully spoon beet tartare into the cutter, making sure its level. Remove the cutter, top with chopped egg and serve with garlic toasts. Ha ha, when I first saw this, I read it as Beef instead of Beet, and thought you had really had some sort of a primal regression! I’ve never been able to understand how people can eat raw meat. HA, thanks for the comment, Howard! 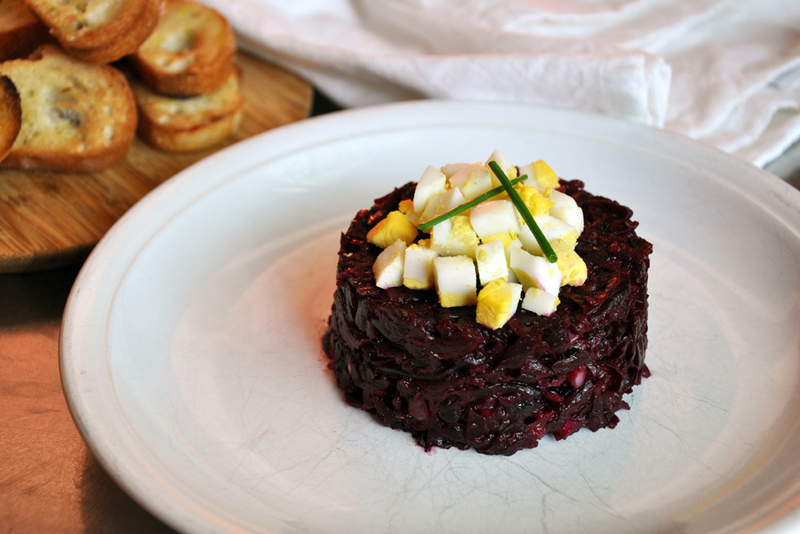 No beef – just yummy beets…enjoy!